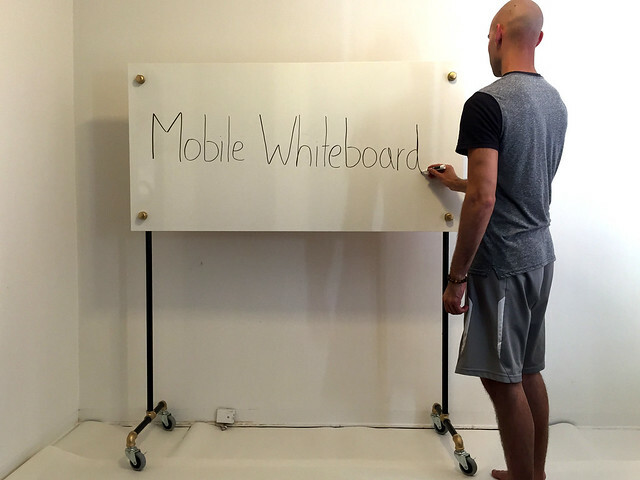 The Mobile Whiteboard is a whiteboard on wheels. 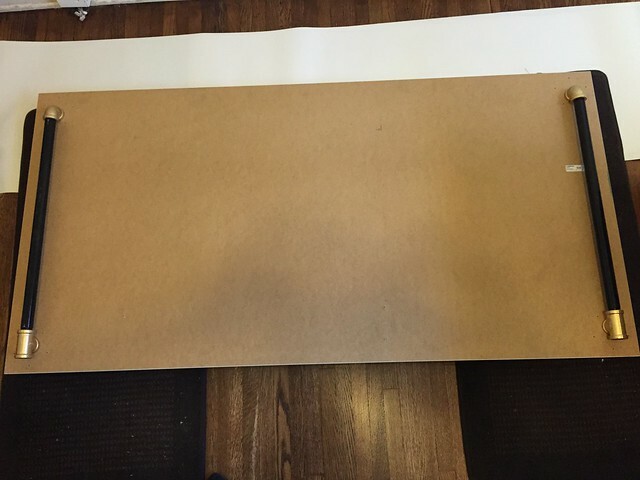 I had a white gloss Ikea Linnmon desk but I needed a whiteboard. Some iron pipe later and I made it happen. 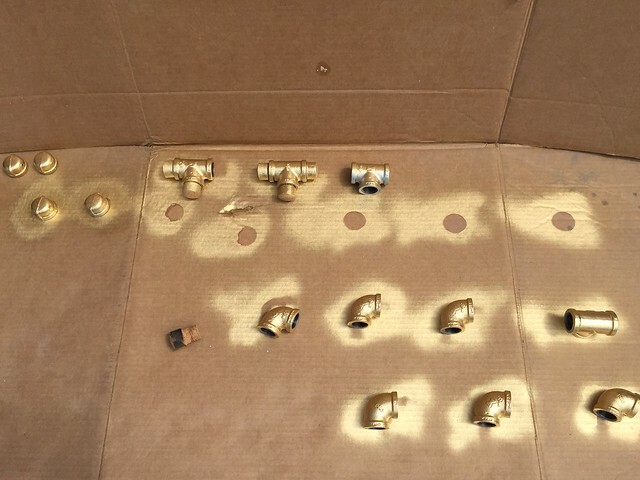 Gold and black spray paint from Home Depot. 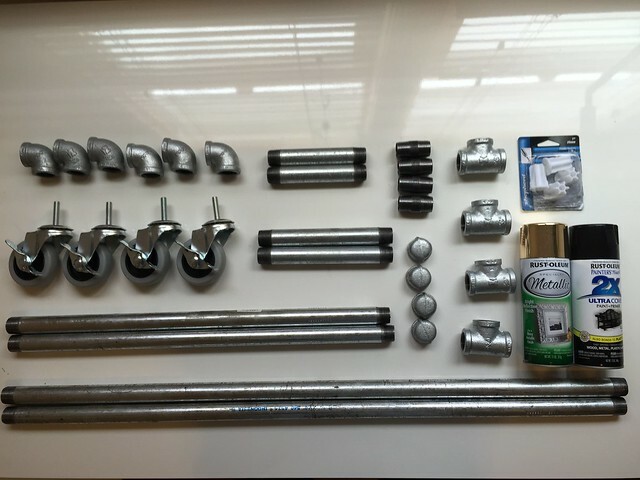 Be sure to use paint that bonds well with metal. 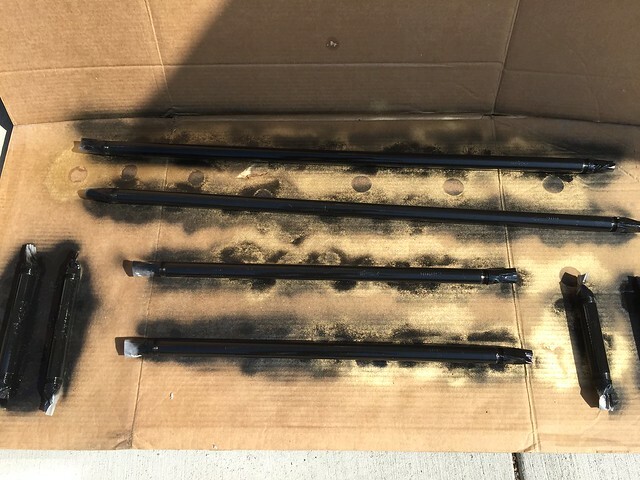 Spray paint your pipes according to your preferences. 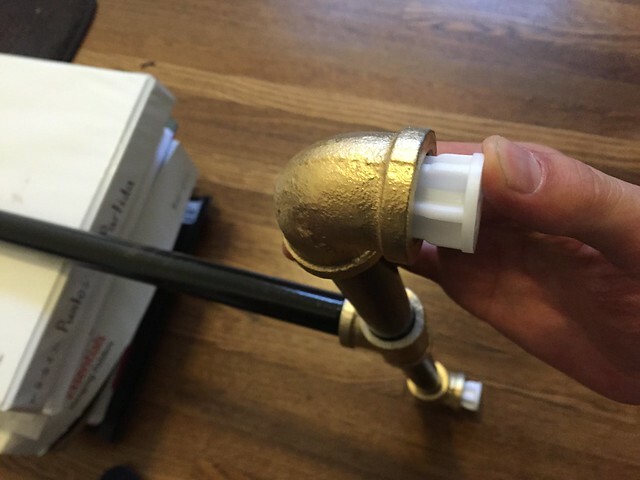 I chose gold for the joints and black for the pipes because those colors go well together. 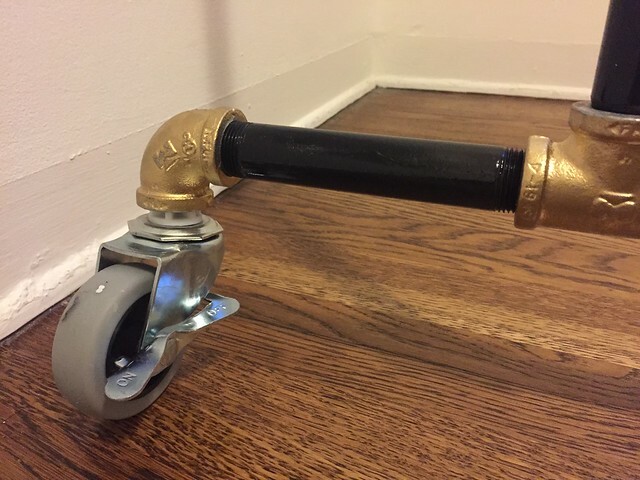 Use tape and corks to prevent painting the inside of the pipe. Before drilling, measure twice. 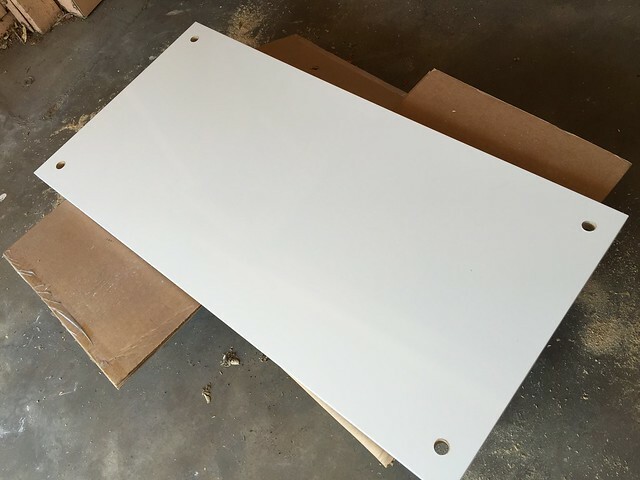 Assemble the whiteboard backing. 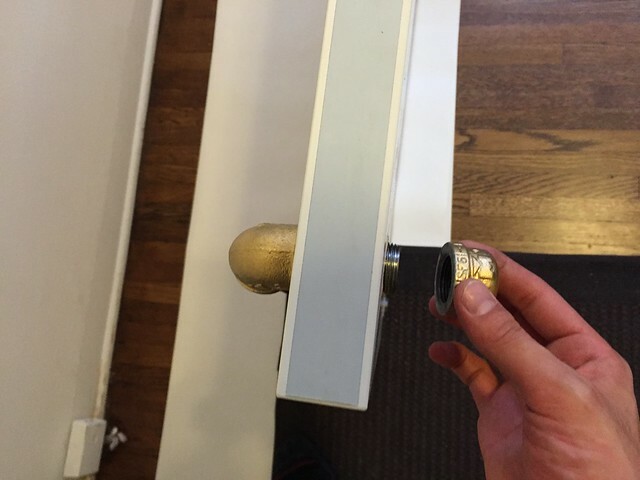 Account for slight variations in the pipe length and mark the back and front accordingly. 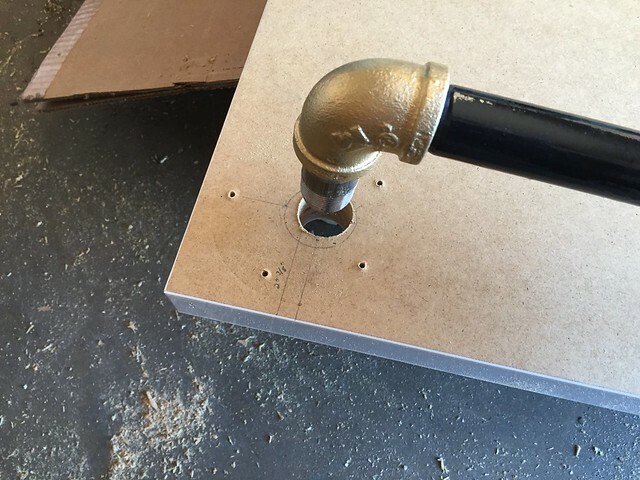 Begin drilling from the front. 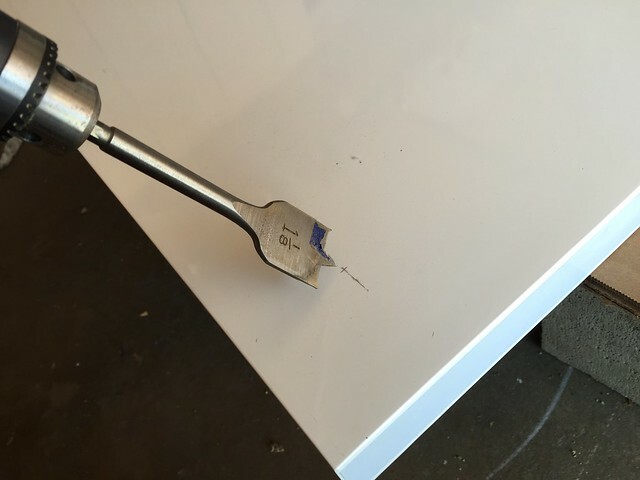 Drilling from the back first could crack the whiteboard surface in undesirable ways. 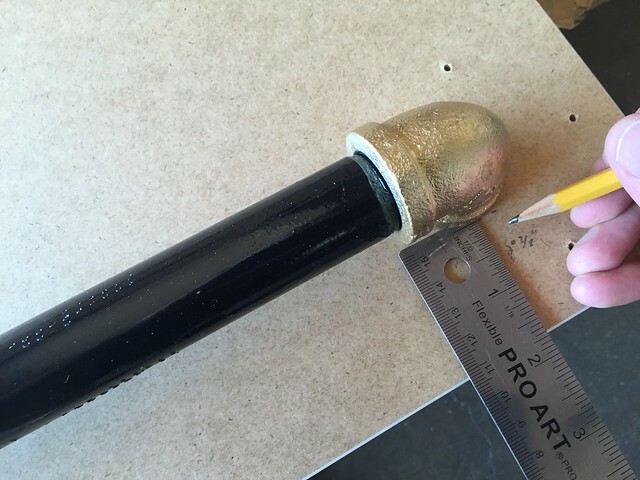 After drilling each hole, check that your pipes still line up with your markings. 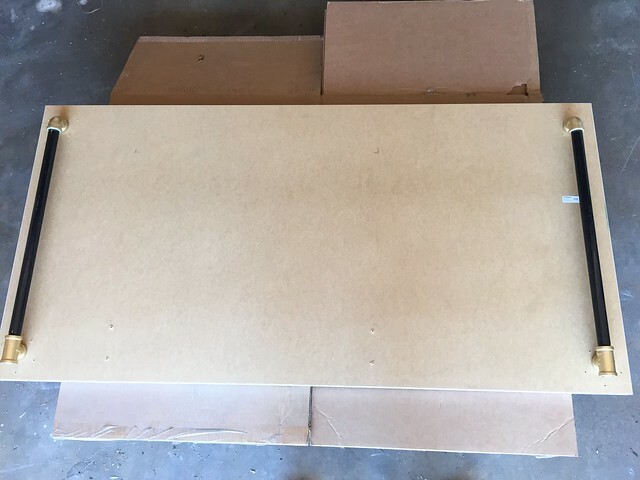 Stand the whiteboard on its edge and fasten the backing securely with the caps. Lay the whiteboard on it's front and attach the 36" pipes. 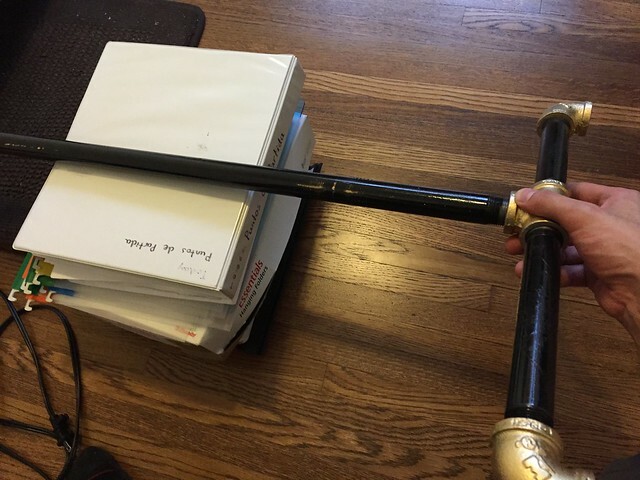 Place a stack of books under these pipes to raise the bottom ends and attach the feet. 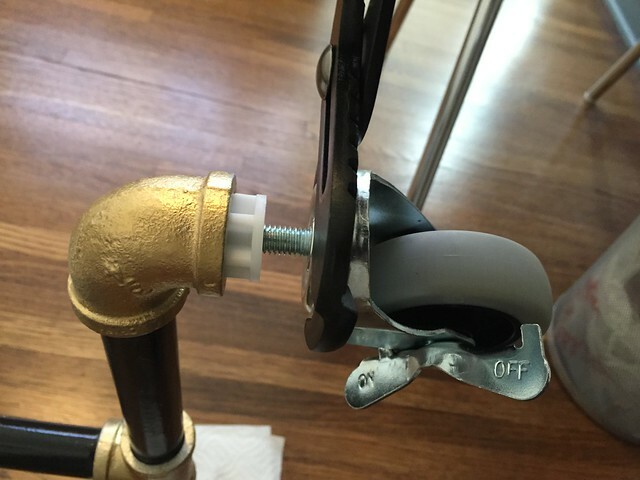 Push the plastic sockets into the feets' elbow pipes until snug. It's okay is some of the plastic is exposed. Screw the wheels into the plastic sockets and tighten with the crescent wrench. 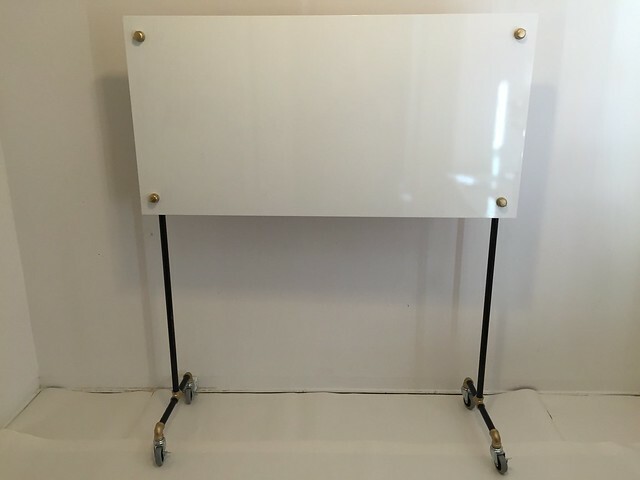 Stand your whiteboard up. If your whiteboard is lopsided, it's probably because of variations in the pipe length. 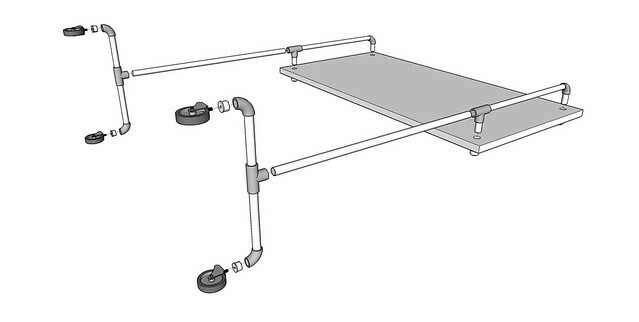 This can be accounted for by loosening the appropriate wheels. Enjoy...after locking the wheels in place.